Vic Tesolin, "the minimalist woodworker", along with Wally Wilson, Lee Valley's senior manager will be demonstrating Veritas tools at the Cooroora Institute. The demonstration will followed by a Q&A and informal drinks and nibbles. Attendance is free but an rsvp is requested. 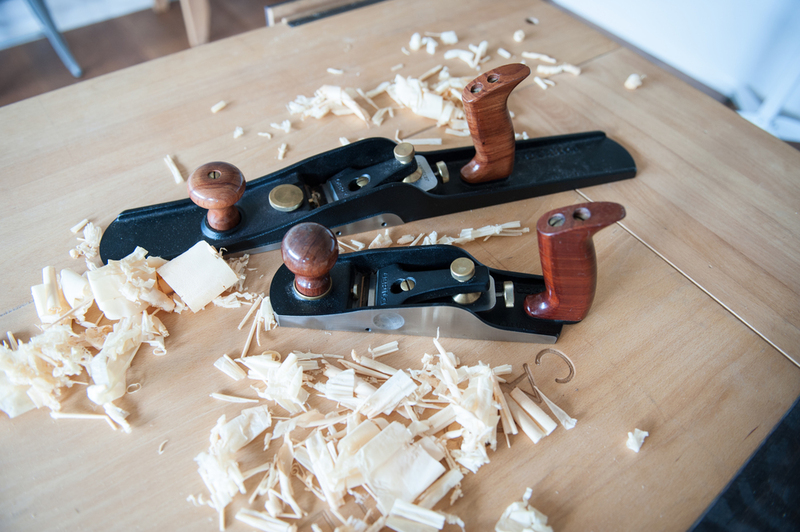 Vic will conduct a hand tool demonstration featuring a range of Veritas products including marking out tools, hand saws, bench planes, chisels, the MKII honing guide, and the new range of Custom Hand planes. He will cover tool design and manufacture, application of different tools, tool selection and correct tool use. This is not a hard sell, although some tools will be available for purchase. Carbatec is offering a special prize pack including a Tour t-shirt ($20 value) and a MKII Honing Guide ($117 value). The prizes will be drawn on the day and participants must be in attendance at the draw to win. Vic Tesolin truly enjoys sharing his woodworking knowledge and has an infectious love for hand tools and their use. He is the Woodworking Technical Advisor at Veritas/Lee Valley Tools, and the author of ‘The Minimalist Woodworker’ dealing specifically with the needs of woodworkers with small spaces to work in. Forthcoming workshops at the Cooroora Institute are advertised through our mailing list (sign up here), on Facebook, and on our calendar page. You can use the form below to contact us to RSVP.